I was having my fingerprints taken for official business. The well-manicured lady assisting me looked disapprovingly. She said there were too many horizontal lines in the whirls of my thumbs that blurred the clarity of the print. I looked at the familiar whirls and loopy circles of my fingerprints. It was true that there were quite a few lines dissecting those little hurricane patterns, but I didn’t see the problem she was seeing. “Isn’t that what fingerprints normally look like?” I asked, defensive of my apparently non-standard fingerprints. One of my earliest memories of my mother was of her hands. Those slender fingers, with nails clipped short and unpolished, were never idle—from dawn to dusk they were engaged in selfless service, nurturing, loving, and assuring the well-being of family and friends. In the kitchen, her hands performed as “a chef’s most prized tools” as she used them to cut and mix, knead, shape and test for doneness. As a nurse her hands gently caressed fevered cheeks, measuring with thermometric precision a patient’s temperature. She used those same hands to teach and guide, to labor, to wash and clean, to reprimand and to fold into prayer. Mama had the softest hands. I was never sure as to why or how because she didn’t use creams or lotions. It was an enigma. Every time her hands touched my face or in later years when I held her hand, her skin felt silky smooth as I would breathe in the scent of soap and lemon. I expected those hands that had been through so much, to be rough, crooked and worn. But for some reason they were not. My mother had beautiful, soft, statuesque hands. I often look at my own hands, so strikingly different in appearance to my mother’s. My fingers are stretched wide apart like I’m palming a basketball. The knuckle on my ring finger appears larger than my ring. I am resigned to broken nails and creases, and the fact that I have arthritic hands, curl and knot my fingers like well-established plant roots. Alas, I do not have my mother’s hands. Looking closely at hands, I see a series of milestones unspoken. Hands, from the moment we are born have been the tools used to reach out, grab and embrace life. Hands have touched breasts and held onto newborns. They have caressed a lover, struck in fear or anger, brushed aside hair, wiped away tears. They have braced and caught falls. They’ve put food into mouths and clothes on backs. They’ve tied shoes, buttoned shirts, brushed teeth, and nursed scrapes and bruises. Fluffing, patting, retrieving, holding, writing, scratching, building, tearing down and soothing. Hands have trembled when forced to stand back to allow children their independence. They’ve been sticky and wet, bent and broken. Hands have tilled soil, reaped harvest, burned and dowsed fires and cleared snow. They’ve said hello in a hand shake and waved endless goodbyes sending sons and daughters to war. They’ve suffered blisters to raise brave youth. They’ve held riffles; been dirty, scraped and raw, swollen and bent. They’ve been uneasy and clumsy. They’ve been pampered and manicured. They’ve been strong and they’ve been weak. Hands have shaken with clenched fists when boundaries have been pushed and injustices prevailed. From raking the yard to scrubbing floors, pulling weeds to changing tires, hands have moved throu gh life fixing, cooking, nurturing, healing, for the comfort and safety of loved ones. Leathery, creased, silky or statuesque, hands have come together in applause, and folded together in prayer. There is life so beautiful in hands. 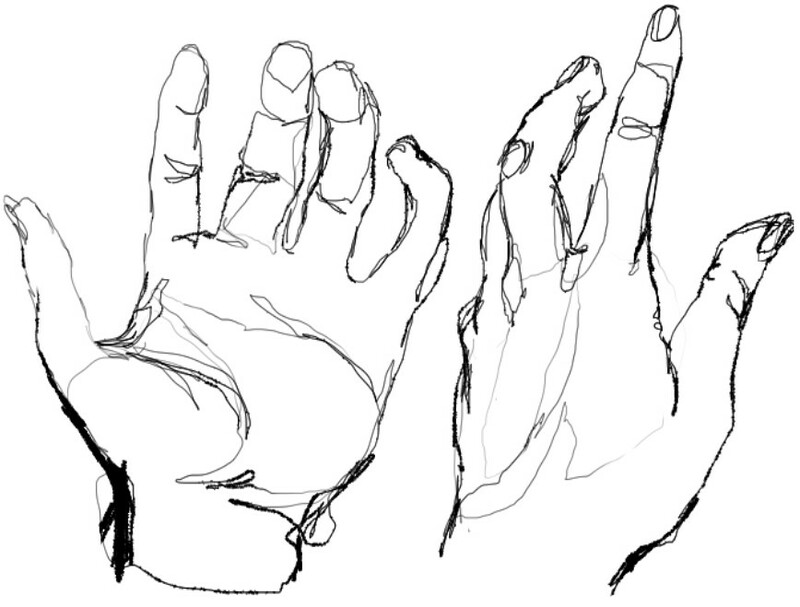 I realize that the world has its own idea of beauty and that it may have nothing to do with hands that serve. But my world has shown me that my hands (and “mutant” fingerprints), although strikingly different in shape, size and texture from my mother’s, will still carry the story of my work with me all the days of my life. Because in those creases and imperfections will exist a long and exquisite history of love that only mothers know. Dedicated to ALL women who use the strength and power of their hands to mother all living things, and especially to mothers who are no longer of this world but there where they have been stroked and caressed and held by the hands of God, HAPPY MOTHER’S DAY. This entry was posted in family, God, Uncategorized and tagged beauty, hands, hardworking, life, Love, mother, prayer. Bookmark the permalink. Here’s to our mothers, all mothers, sweet and tough, whose precious memory will be alive for as long as we live. You reminded me of my fingerprints being taken about a decade ago. The officer took them a few times, then decided it was a helpless situation. He said my fingertips were worn out, asked me if I washed my hands a lot, and used the best he got. Happy Mother’s Day to you too Yeran. For all the mothering you do and for all the mothers in our life…we’ve been blessed. I clearly remember my mother’s hands. Happy mother’s day to all mothers here on earth and heaven. Mother’s hands…always remembered. We hold on to them in real life and in memory. 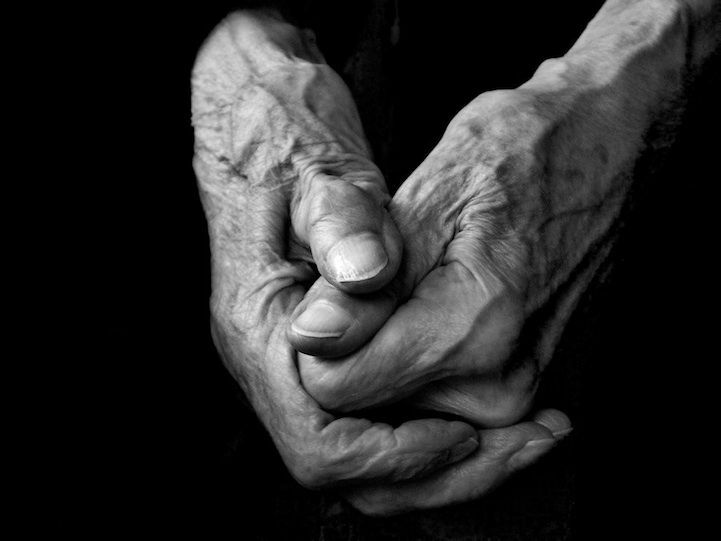 What a great homage to your mother through the celebration of hands… What a touching read. Happy mother’s Day my Friend! Happy Mother’s Day dear Colette. Celebrate your day, hands on. Once more , your text forced m’y admiration for so many reasons : its idea : banal hands, described on around 30 lines with a tremendous vocabulary, adjectives, poetic, moving – specially while speaking about the caressing hands of your mom – you noted anything our hands do in such a literary style : it is neither the sky nor the atmosphere but what is most common in us : our hands ! My english is not rich enough to allow me to explain my deep enthusiasm while reading you ! It makes me think about Rodin’s sculpture ” Les Mains ” that I’ll try to add to this mail ! Thank you for carrying me away while reading you !